A medium weight knit for cooler weather. French terry cardigan-style jacket with longer back hem. 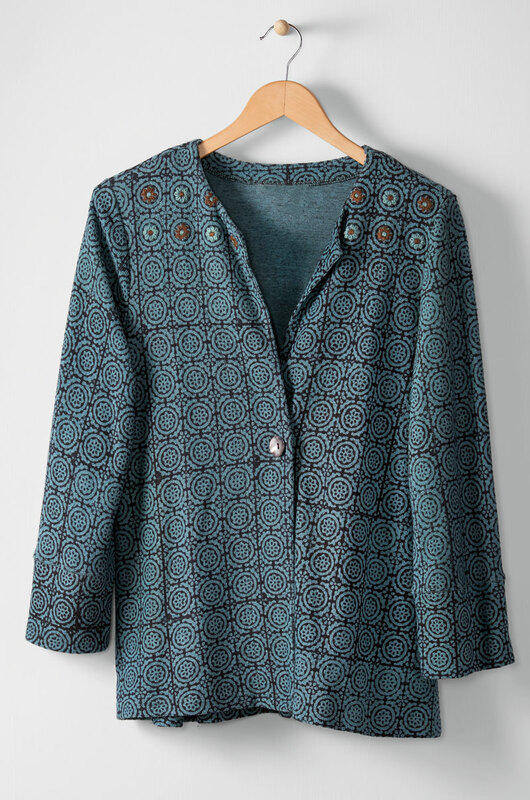 • Front/back length: PM 24"/25.5" M 26"/27.5"
I have received compliments with this jacket. The style and fit are very comfortable. It is a jacket that I will be able to wear through each season. I love the jacket! but just want to note that the button was not quite sewn in the right place for it to fall evenly when I wore it. I just took off the button and resewed another one on evenly.